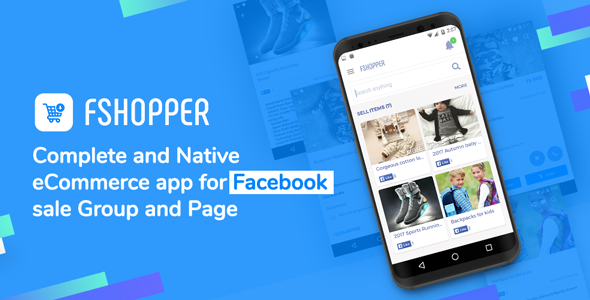 If you have a facebook business page or group and you are looking for a native Android app for your page or group then probably this is the best solution for you. If you are planning to start eCommerce business based on facebook, you can build your native application with this solution to boost your business by reaching more and more audience. This app allows your create native android application. Your facebook page or group will be used as base backend. App includes all the features what a complete ecommerce app should have.